This is one craft I seen on another page and did not think my kids would enjoy it, but I decided to try it anyway and cross it off my list. 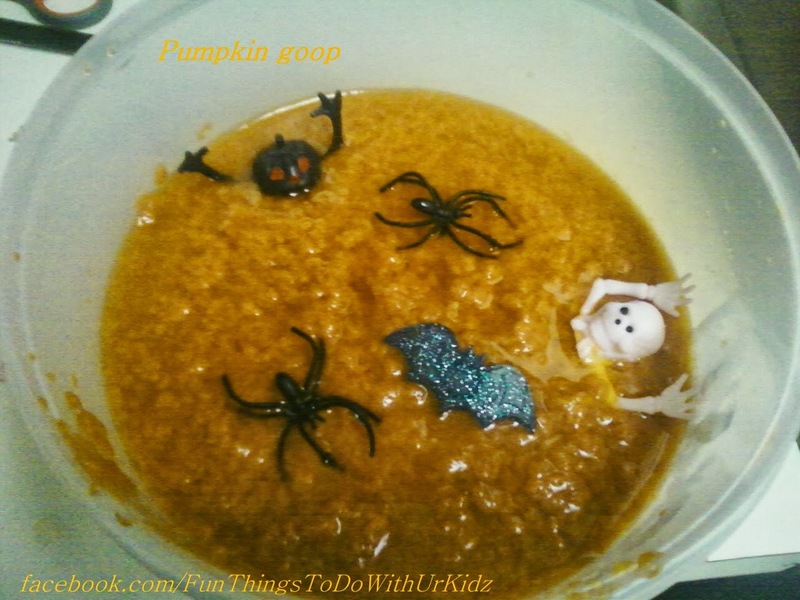 Well to my suprise this was a huge hit with my almost 4 year old and 2 year old, and so simple to make. Then add some really hot water, and let it sit for a few hours. Once done place all in a blender and mix. the npalce in a bowl and add some cups, spoons, and other things for you'r kid/kids to have fun with. note- it is more orange then the color in this photo.